Pumpkin Wine is inspired by a drink by the same name - usually made at home, it has quite a peculiar aroma. 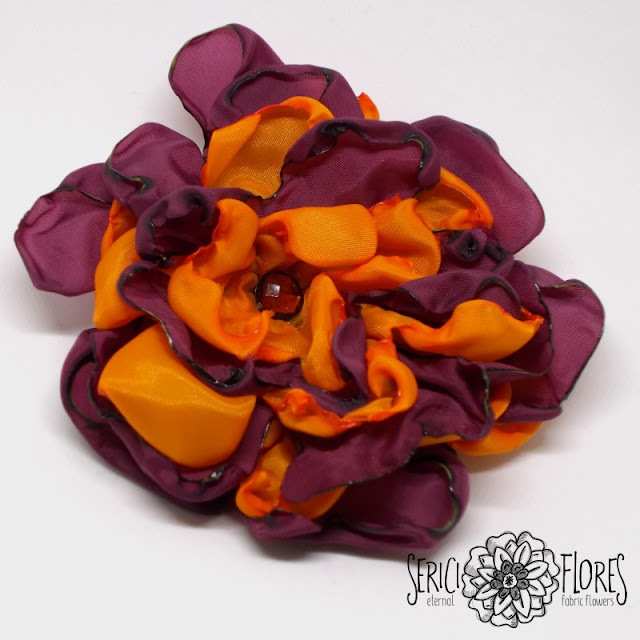 This blossom is also very distinct, the combination of vibrant orange and muted purple making it an absolute diva that will not share the spotlight. Warm hues make it feel very luscious and appetizing. Perfect for blondes and brunettes, it will bring out all the red highlights.